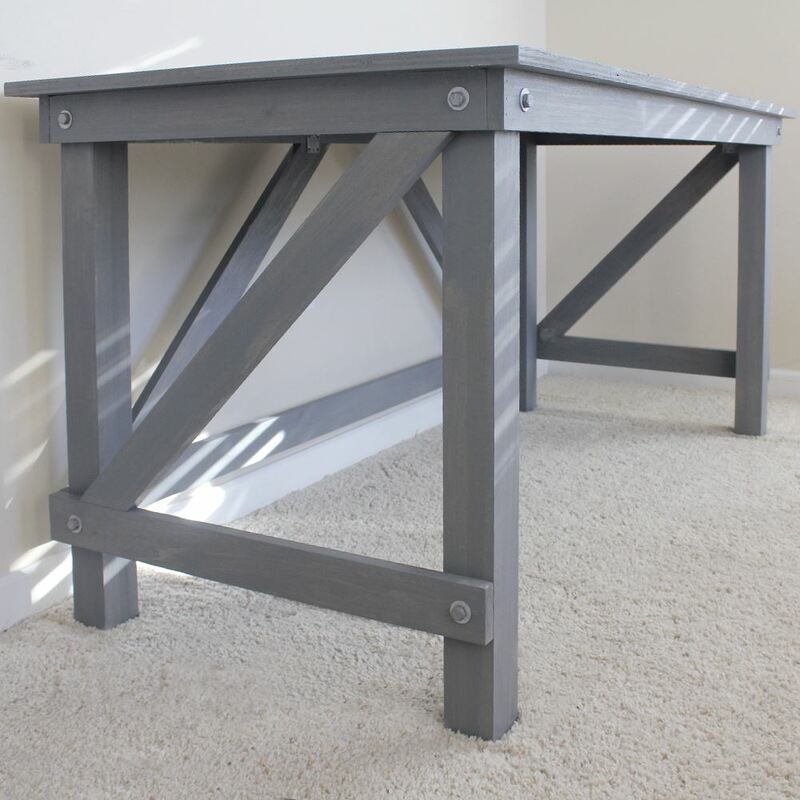 The Robin Desk is a hand-made farmhouse style desk created completely of solid wood and metal bolts. Designed to be incredibly sturdy and easily tore down and assembled again. The Robin Desk is made-to-order based on your height, length and color preferences. Answer the questions below we'll send you a quote based on your preferences. The base price for the version seen above is $450 + Shipping. The standard length is 60"